Welcome back to Maharani Neha and Shyam’s wedding bash! 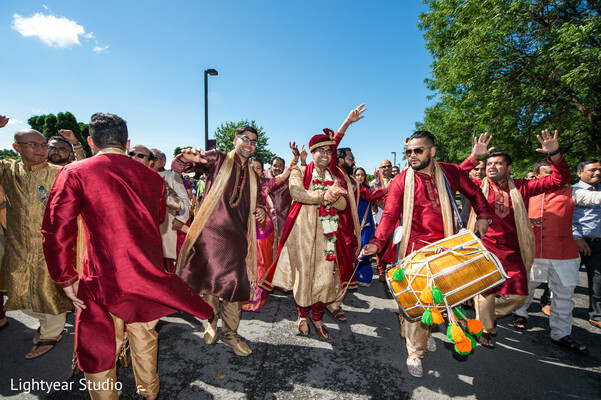 The festivities began with a bustling baraat through the streets of Mahwah. What a kick off! 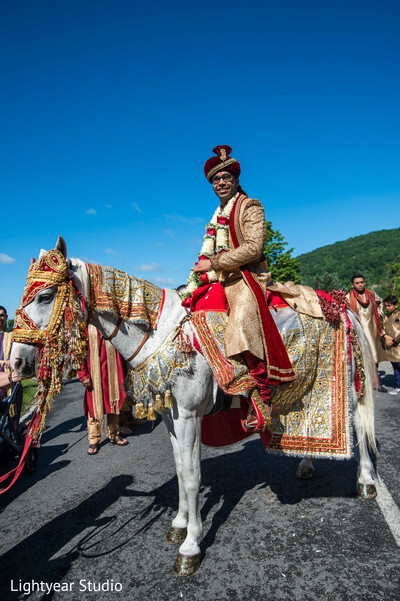 The couple wed in a traditional ceremony at the Sheraton Mahwah, and the ambiance in the ballroom was a dream come true. 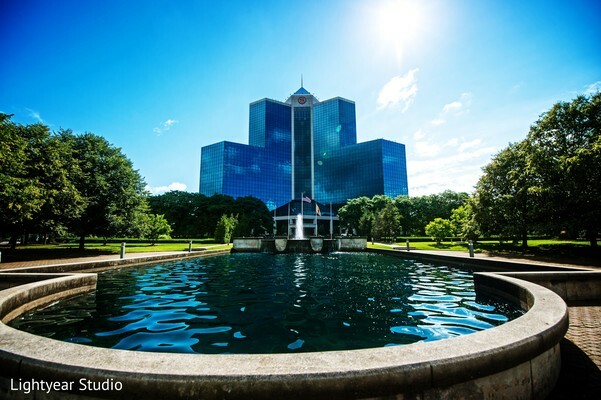 Bells N Rings Events oversaw planning duties, and every detail was executed perfectly. 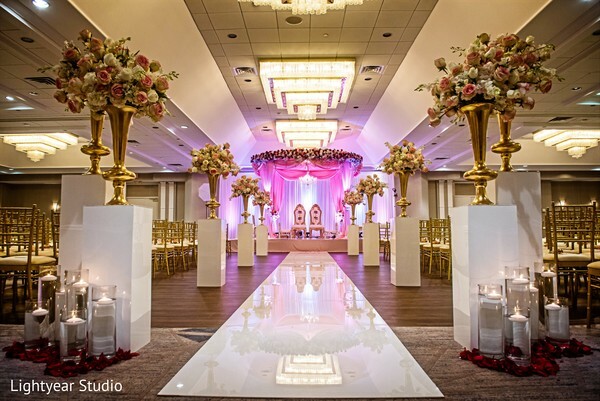 Meanwhile, Wedding Design used their artistic mastery to transform the Sheraton Mahwah into a pink palace filled with rosy, ambient uplighting, vibrant draping, and enormous floral arrangements lining the sparkling, white aisle. 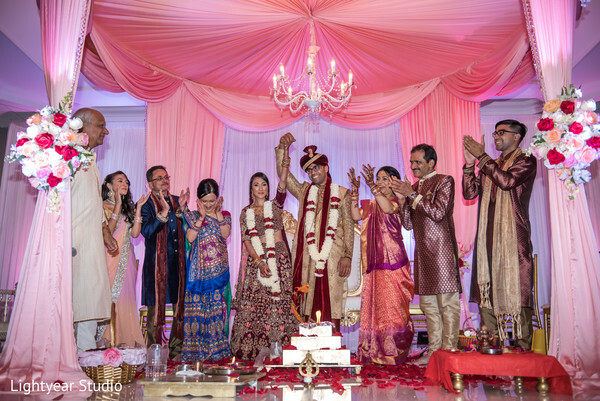 As Neha floated ethereally to the mandap, guests were overwhelmed by her beauty. 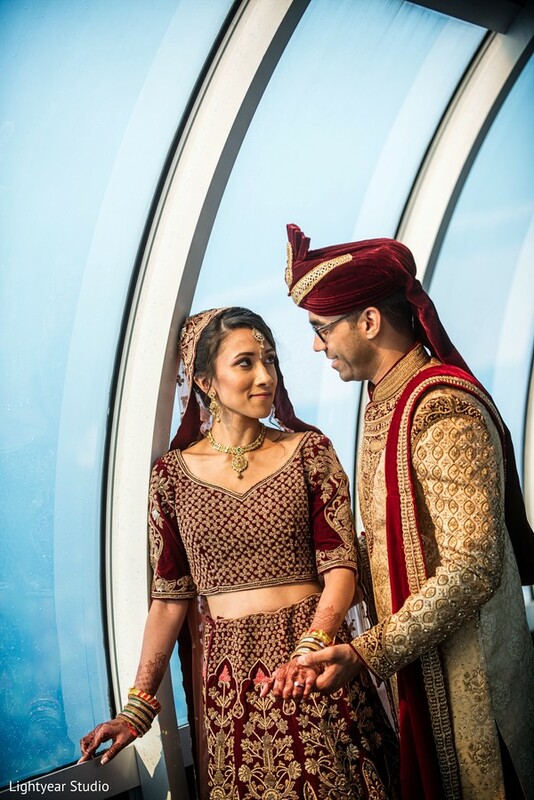 And we can’t get over this bride’s lehenga. 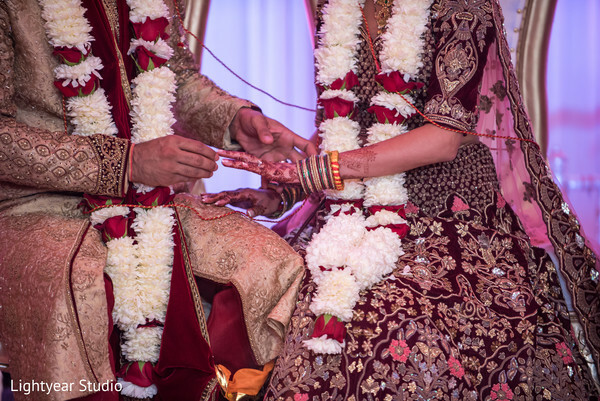 The rich hue, romantic pink dupatta, and mesmerizing geometric embroidery makes us swoon! 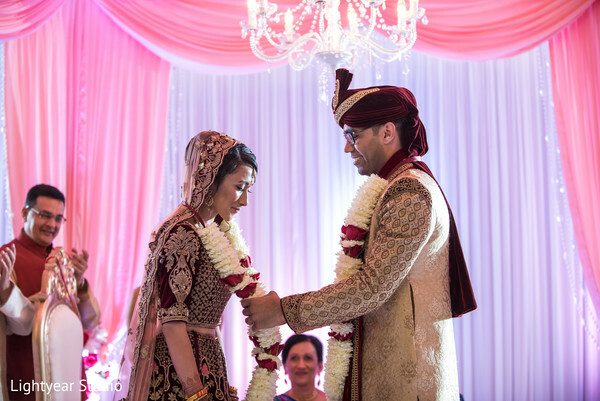 Their meaningful ceremony ended with the couple being pronounced as Mr. and Mrs. 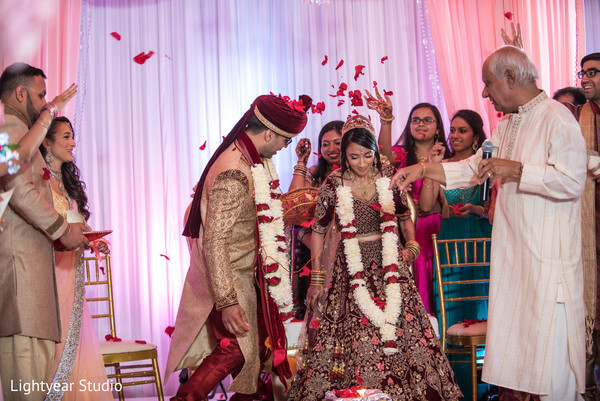 Guests jumped for joy as they showered the newlyweds with oodles of red rose petals. 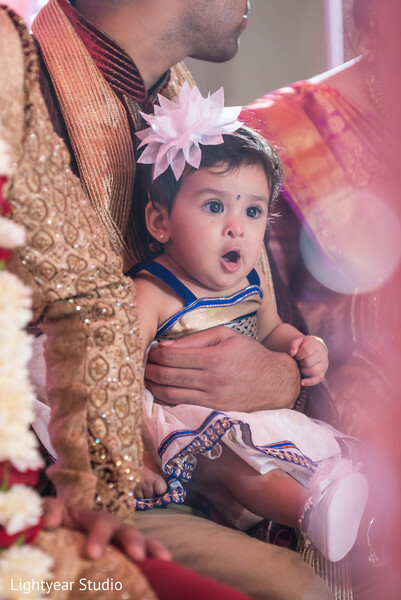 Head into the full gallery where Lightyear Studio has shot some timeless and beautiful pics to help perk up your day. The technicolor reception coming right up!